These beautiful Copper Top Solar Dual-LED Lighted 4" x 4" post caps add a charming touch to your bridge, porch, fence, or any outdoor area. 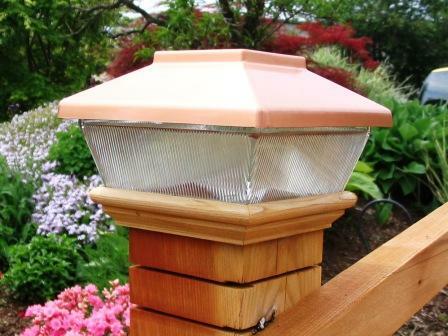 Copper Top Solar LED Light Post Caps - 4" x 4"
Light up your bridge day and night with our Solar LED Post Caps. By day, these post caps add a charming touch to your bridge, porch, fence, or any outdoor area. 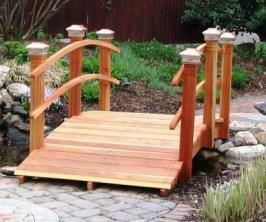 By night, they enhance your bridge with lovely accent lighting—without the hassles of wiring or electricity! Will fit on any 4" x 4" post only. The outside dimensions of a normal 4” x 4” measure 3 5/8” x 3 5/8"
No Wires, No Electricity, & No Hassles! Use them on fences, decks & porches, along walkways and driveways, to highlight retaining walls, or anywhere else you need light! Pressure Treated Wood Base Trim can be stained or painted (by you) to match the color of your current decking material. Available individually, or in a set of six. The solar post cap light provides an ambient, non-task-oriented light. The LED bulbs are part of the whole solar cell component and are not designed to be replaced. The LED bulbs have an average life of 10 years, with a normal usage of 6-8 hours per day. 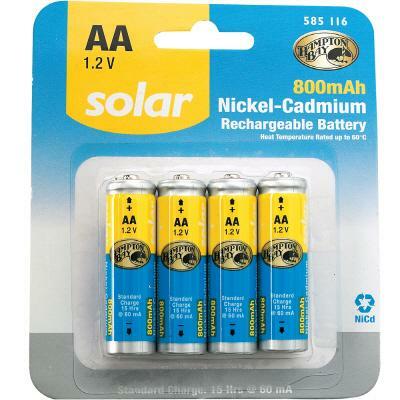 If the rechargeable batteries provided will no longer recharge, they can be replaced with any AA rechargeable batteries. The life depends on the quality of the batteries purchased. No, the solar post cap light is designed to be used with rechargeable batteries. If regular batteries are used in the sun, they will destroy the solar collector. With a normal usage of 6-8 hours per day, the LED bulbs should last an average of 10 years. Will my copper post caps remain a shiny copper color? Our copper post caps come with a thin, clear marine lacquer designed to protect them before and during installation. Once exposed to the elements, the sun’s ultraviolet rays, moisture, and pollution begin to break down this coating, exposing the metal underneath. In its natural state, copper breaks down in the elements and patinas. In general, copper progresses from a natural salmon color to a series of russet browns and grays, and finally to a blue-green or gray-green patina. How do I keep my copper post cap from turning green/patina? To maintain the shiny look, apply a car wax immediately after purchasing the cap, and reapply every 3 to 6 months. Can I speed up the patina process on my copper post caps? Remove the metal top by pressing inward on the side of the clear lens with holes, grasping the edge of the metal top and lifting it off. • Remove the plastic tab in the battery compartment to allow for terminal connection. • Turn the on/off switch to the OFF position to fully charge the battery. Your solar post cap light will need 24-48 hours of sunlight to fully charge. • Place your solar post cap light in direct sunlight for 24-48 hours with the switch in the OFF position to fully charge. • Once your solar post cap is fully charged, turn the switch to the ON position. Your solar post cap light is now ready to be installed on your post. To attach to the post, apply an exterior-grade construction adhesive to the inside edge of the molding at the bottom of the light and place it firmly onto the post. Once the batteries are fully charged, you can leave the switch in the ON position. The solar collector will charge the batteries during the daylight hours and power the light during darkness. Your solar post cap light will stay lit for an average of 6 to 8 hours during the night and turn off during the day, allowing the solar collector to re-charge the batteries. If your solar post cap light becomes dim or does not light, simply turn the switch to the OFF position for 48 hours and allow the solar collector to fully re-charge the batteries. 1. Remove the metal top by pressing in on the side of the plastic lens. 2. Turn the metal top upside-down and place it on a table so that the solar collector is covered (not exposed to the light). A light sensor inside will prevent it from lighting during the day. 3. Make sure the protective plastic tab between the batteries and the terminals has been removed. 4. Make sure the batteries are making contact with the terminals. 5. Make sure the on/off switch is in the ON position. 6. If your solar post cap light still does not light, place it in direct sunlight with the switch in the OFF position for 48 hours to fully recharge the batteries. From Diana Buckner of Canton, North Carolina on 6/23/2016 . From Terri Schuchman of Arvada, Colorado on 9/24/2015 . From Anonymous of Fort Collins, Colorado on 9/3/2015 . From Jennifer M of Palo Alto, California on 6/25/2008 . Cosmetically, really nice. Better than expected! From Ted d. of Oakhurst, California on 2/3/2008 . 8/14/2017 – Is this product plated with copper or is all copper material? 3/11/2016 – Where is the on-off switch located on the light? 7/28/2015 – Can you tell me if these lights will fit a post that actually measures 3.5 X 3.5? If so, does the light come with sleeves . . .
4/19/2009 – What is the warranty you offer on this product?